The Limited-Edition 17-Disc Set of the Program Voted as One of IGN.com's Top 50 Sci-Fi Series of All Time is Priced to Collect at $99.95srp and Features Four Bonus Discs with Two Hours of Brand New Content Including a Making of Robotech Documentary, Robotech Music Videos, a Series Overview and Much More! 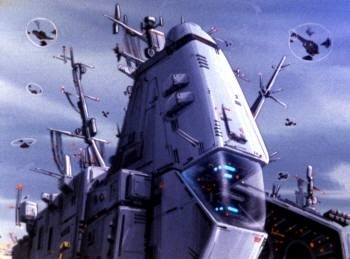 NEW YORK, NY - Long before the current live action Transformers franchise took over the box office and introduced giant alien robots to a new generation, there was a sweeping animated sci-fi epic that delivered mecha to the masses: Robotech. 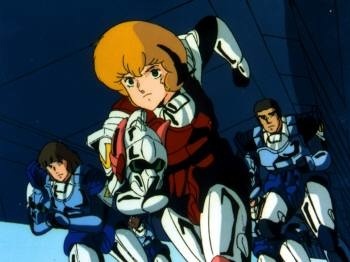 Arriving on U.S. airwaves in the mid-80s via syndication, the legendary space opera - one of the very first anime imports -- helped to usher in the multi-billion dollar anime industry and now, through the cult classic curators at A+E Networks Home Entertainment, the influential series will be reborn on DVD. 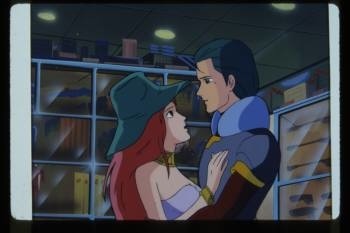 Working in close conjunction with original Robotech producer Harmony Gold, the franchise will be available in a handsomely-designed collector's set featuring all 85 re-mastered episodes of the engaging and dramatic anime classic. 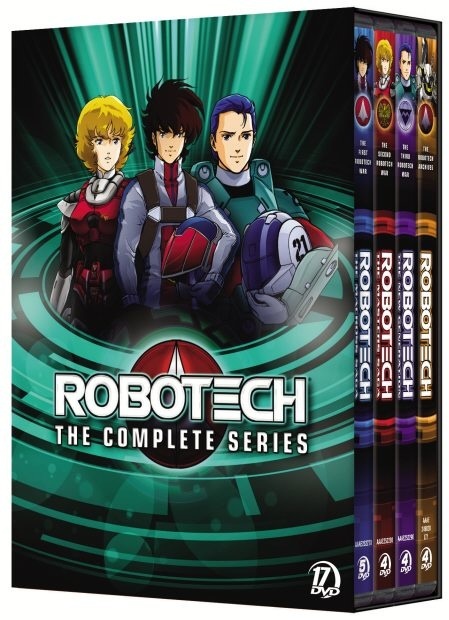 Available for $99.95srp, the specially-priced 17-disc set Robotech: The Complete Original Series will also feature four exclusive bonus discs with more than 10 hours of bonus content - much of which is new to DVD. The deal was brokered by Content Media Corporation, the worldwide distributor of the series. 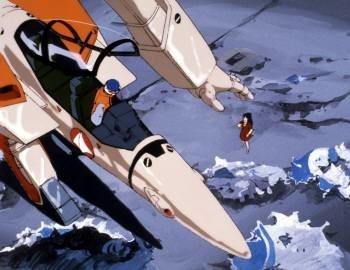 A sweeping science-fiction anime epic, ROBOTECH was set at the turn of the millennium, when a mysterious spacecraft crash-landed on a South Pacific island. The secrets of alien knowledge aboard this vessel were unlocked, leading to the development of Robotechnology and the creation of a vast arsenal of robotic mecha to defend the Earth against the alien threats that would eventually strike, attempting to lay claim to the mysterious power source known as protoculture. Told through the eyes of characters caught in a successive series of three extraterrestrial invasions, the saga was the first anime series that many fans had seen, and is often credited with the explosion of anime fandom that continues to grow in the U.S. today. The cornerstone of a blockbuster franchise that has spawned dozens of movies, books, toys, video games and comic books, ROBOTECH was originally licensed from Japan's Tatsunoko Studios, adapted from three different series and re-edited and re-dubbed into English. 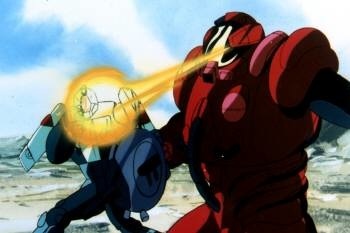 Because ROBOTECH hailed from three completely different anime series, Harmony Gold joined them into a cohesive narrative by splitting them into three distinct chapters, each representing a different generation of the saga: THE MACROSS SAGA (36 episodes), THE ROBOTECH MASTERS (24 episodes) and THE NEW GENERATION (25 episodes). These are also informally referred to as The First Robotech War, The Second Robotech War and The Third Robotech War respectively. Voted #34 on the "Top 100 Animated Series of All Time" by IGN.com, ROBOTECH will also be released day-and-date in several additional configurations. THE FIRST ROBOTECH WAR (THE MACROSS SAGA; 5 discs), THE SECOND ROBOTECH WAR (THE ROBOTECH MASTERS; 4 discs) and THE THIRD ROBOTECH WAR (TRHE NEW GENERATION; 4 discs) will also be available for fans both new and old. With interest in mecha at an all-time high, don't miss out on this landmark in anime history from the guardians of classic TV DVD at A+E Networks Home Entertainment. Formed in 1983, Harmony Gold is a leading production, acquisition and distribution company of quality international television programming, producing some of the most classic and history-making programs in the industry. Harmony Gold is a division of The Harmony Gold Companies, whose interests range from theatre management, real estate and finance to film and television production. Content Media Corporation plc (Content, formerly ContentFilm plc), is a publicly traded, global entertainment media company based in London with offices in Los Angeles, New York and Toronto, which owns and distributes a significant library of film, television and digital assets. Content Film (formerly ContentFilm International), the film sales division, holds the rights to 200 titles and helps producers secure financing, marketing and distribution. The division also acquires top-tier documentaries. Content Television (formerly Fireworks International) is the television sales division, which holds the library rights to 3,200 hours of TV programming incorporating major drama series, non-fiction entertainment, special event programming, kids' series, TV movies and mini-series. Content Digital licenses over 300 hours of bespoke digital properties, in addition to the existing library, to digital media platforms worldwide, including on-demand, broadband and mobile. Running Time Approx. 15 hrs. Running Time Approx. 10 hrs.